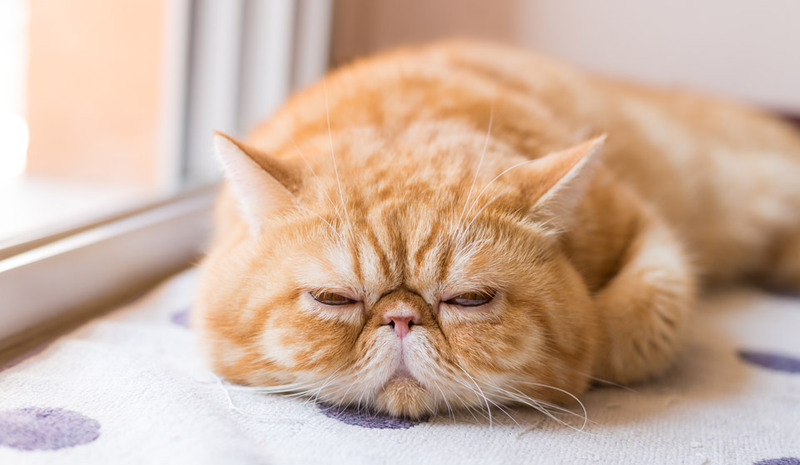 The Exotic Shorthair resulted from a cross breeding between a Persian longhair and an American Shorthair. They were bred in the USA in the 1960’s by breeders who firstly wished to have a cat with the personality of a Persian without the high maintenance long coat and also by American Shorthair breeders, who were keen to broaden the breed’s colour range. They were officially recognised by the Federation Internationale Feline in 1986. In Australia the breed is being developed by crossing Persians with British rather than American Shorthairs. One of the most affectionate and loyal of all the cat breeds. They make an excellent lap cat and are happiest in quiet, familiar surroundings. They can make playful bursts and tend to be livelier than there Persian ancestors. Their short haired coat is low maintenance in comparison to the Persian and only requires a weekly brushing to reduce shedding problems and hair balls.